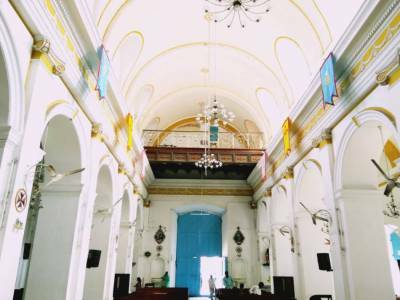 The Immaculate Conception Cathedral is one of the most beautiful and revered church in Pondicherry and its about 300 years old church, built in the Portuguese style and the residence of the Bishop. 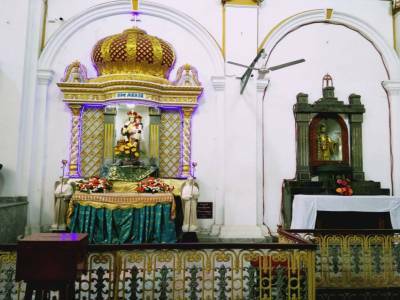 Very well located in a strategic place, the church is popular among local catholic Christians. 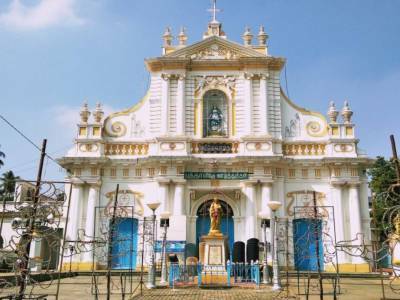 The Immaculate Conception Cathedral is a magnificent structure with beautifully constructed interior and exterior designs and worth visiting to understand the rich Catholic religious heritage the French passed on in Pondicherry (presently known as Puducherry) of India. The evening with all the lights illuminated would have made the church look even more beautiful. Churches/Cathedrals are mostly closed from 12:00 noon to 3:00 or 5:00 P.M. 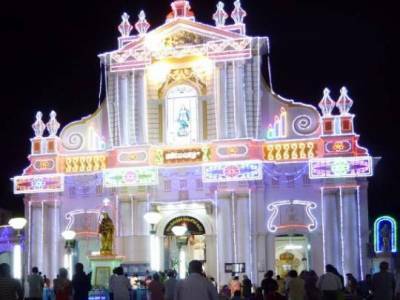 It is a must visit place when any one in Pondicherry, you will feel relaxed when you go this church. if you want peace of mind, go this church and relax for some time. The Mass timings of Immaculate Conception Cathedral starts at 5:15 AM to 6:15 AM in Monday to Saturday and 5:00 PM for Sunday. 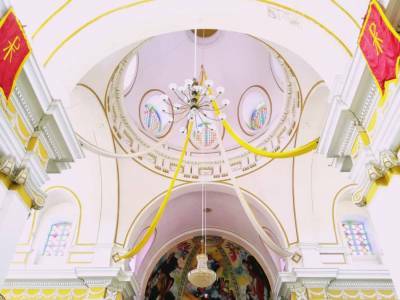 Get quick answers from travelers who visit to Immaculate Conception Cathedral.